If you’re a fan of making a special journey for a top restaurant, but still like to minimise the travelling, then Bray is the one for you. Not only is it home to two three-star Michelin restaurants, The Fat Duck and The Waterside Inn, but it’s also where you can find Heston’s Michelin-starred restaurant The Hind’s Head and his gastropub, The Crown. It’s a couple of hours by train, so it’s definitely possible to visit one for lunch and return home, it’s even better to stay over for a couple of nights and make a weekend of it. But where can you stay? The tiny village of Bray only has one shop – and that’s a jewellers. 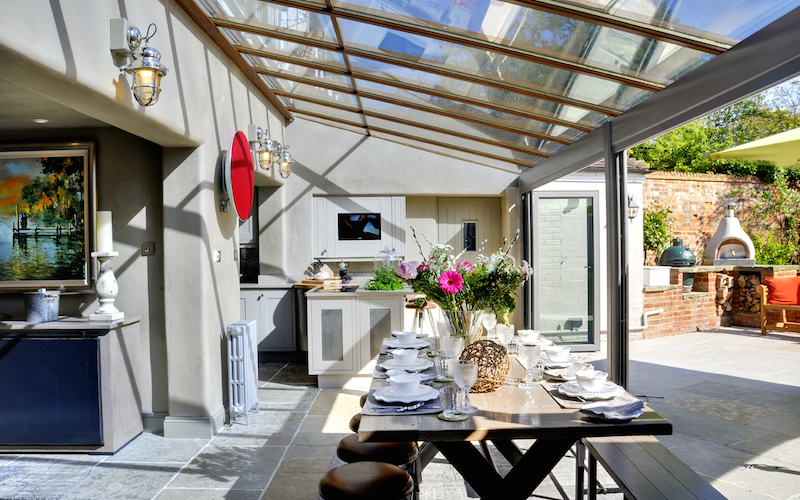 Well, Bray Cottages has six properties all located within a stone’s throw of the best restaurants in the village. The cottages range from cute one-bed love nests to three-bed pads, and they’re all places that you could imagine living in (in another life). 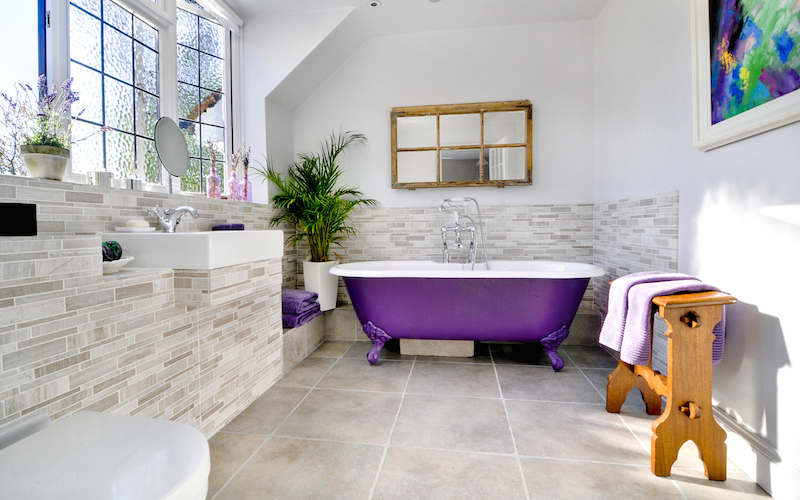 We stayed in Lavender House, an incredible private residence just opposite The Hind’s Head. From the outside, it looks like a small, old cottage but inside it’s super-modern and infinitely bigger than it appears thanks to a large glass extension. There are three bedrooms, two bathrooms, a rolltop bath, a lounge/cinema-style room with Bang & Olufsen surround-sound system, and a study. And that’s just for starters. 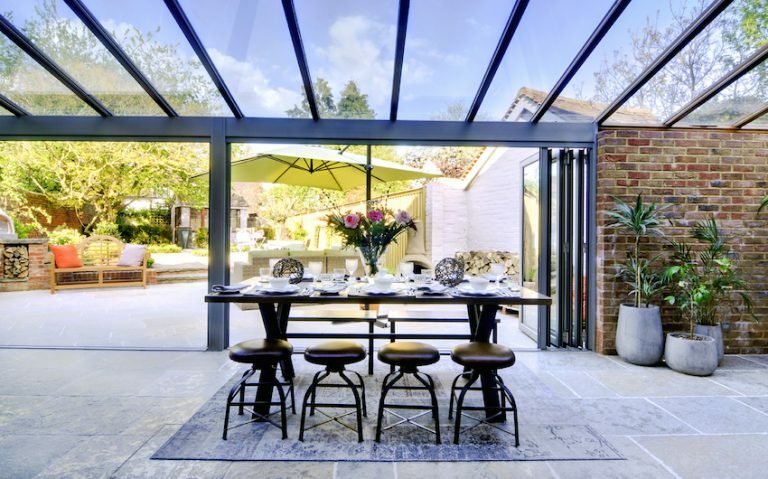 The real show-stopper is the huge kitchen with dining area in the conservatory; its expansive wall of glass doors open fully into the garden, making you feel like you’re outside, even when you’re inside. The kitchen has all the equipment you need to be able to knock up a feast or just cook your breakfast from the goodies that are supplied with every booking. Fresh bread, eggs, tomatoes, bacon, juices and plenty more. The contents of the drinks cabinet is also included in the price of the stay. If there’s anything else you want, you can just let Bray Cottages know ahead of your arrival and it’ll all be waiting in the fridge for you. If it’s summer there’s a plush garden equipped with a Big Green Egg and pizza oven, so perfect for having a big BBQ. Even without the amazing restaurants on its doorstep, Lavender House would be a great place to come with friends for a weekend (or longer) just to relax and cook some nice meals. But it’s not all about eating. There’s plenty to do in the surrounding area, including long walks along the Thames and Windsor is only 15 minutes away.